This Pistachio Pudding Salad is super simple to make and perfect for a crowd or side-dish for family dinner. Every 3rd Sunday we eat family dinner with my in-laws. I always look forward to it because my mother-in-law is a great cook! She makes so many delicious fruit salads and this Pistachio Pudding Salad is one of my favorites. I finally got the recipe from her and it was so easy to make! 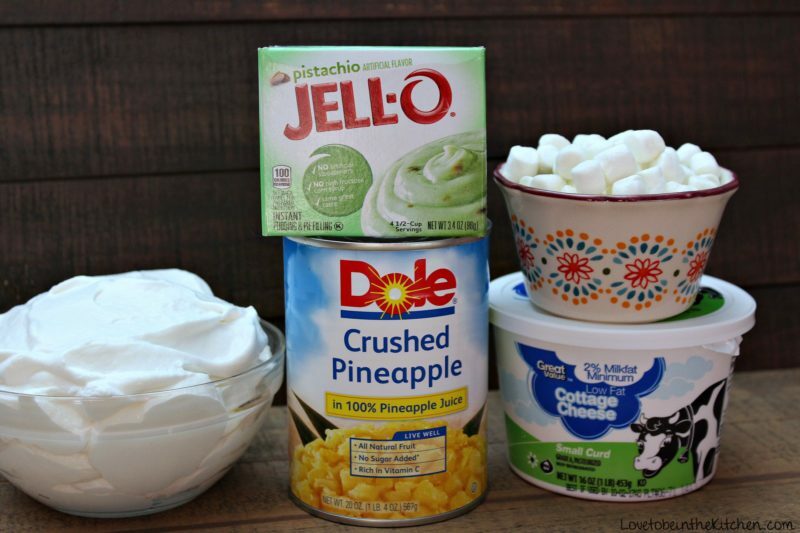 All you do is mix together pistachio pudding mix, crushed pineapple, cottage cheese and cool whip! You can add chopped pecans or mini-marshmallows if you’d like. It’d be pretty if you top it with a few crushed pecans or pistachios. 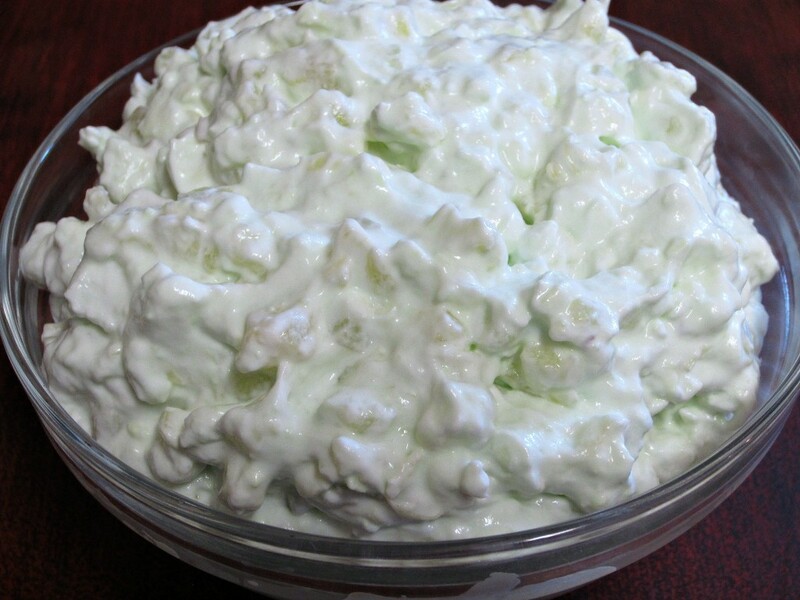 I don’t usually like cottage cheese but I love it in this salad! 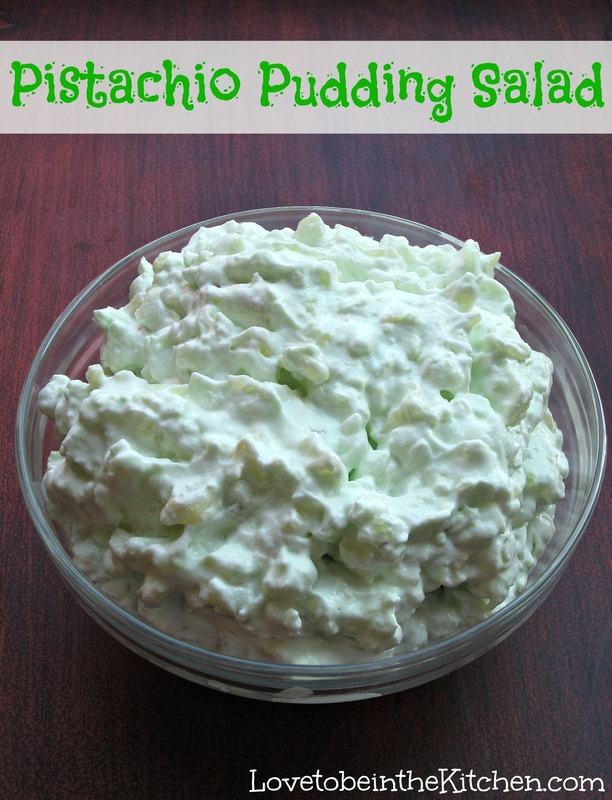 This is what sets this Pistachio Pudding Salad apart from most and it makes it so good! 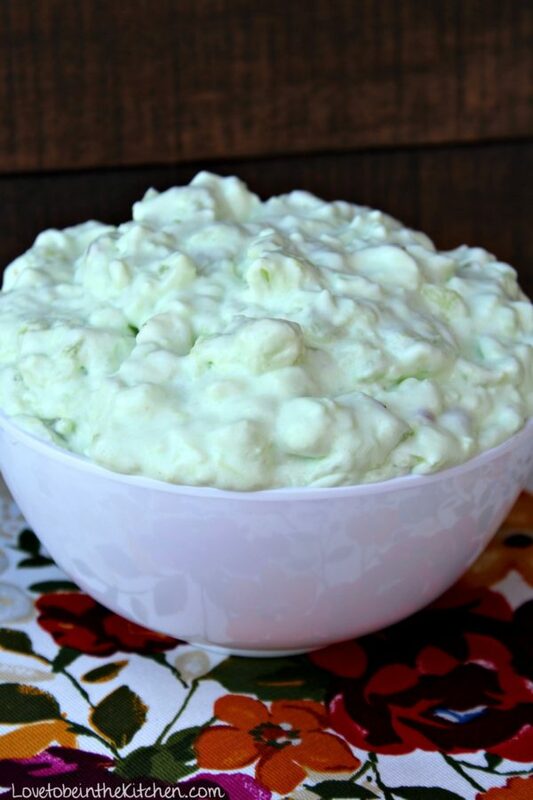 This would also be a perfect side dish to serve for St. Patricks Day or Christmas. The green color is so beautiful! But honestly, we serve it whenever we want. Usually once a month for our family dinners. It’s always a hit! Two Years Ago: How to Shred Chicken in 20 Seconds! In a large bowl mix together the dry pistachio pudding mix with the drained can of crushed pineapples. 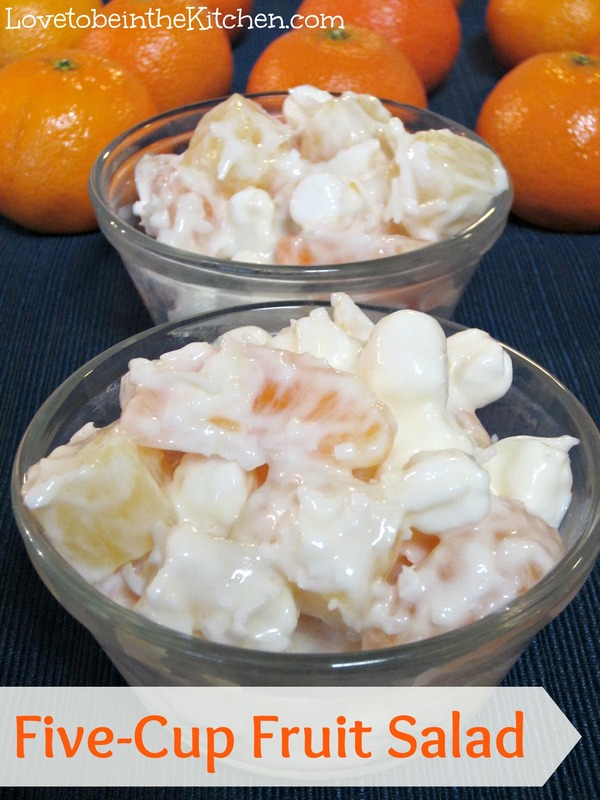 Mix in the cottage cheese then fold in the cool whip. Add 2 tablespoons of the pineapple juice and more if desired. If using, mix in the chopped pecans or/and mini-marshmallows. Refrigerate for at least an hour before serving. This is seriously one of my favorite salads! And I love how easy it is to make! Thanks for sharing the recipe! I LOVE Pistachio Salad! I haven’t made this for awhile – I will definitely have to make this on St. Patrick’s Day! Thanks for sharing, Becky! I love green salad anytime of the year. Can it be frozen? I’m not 100% sure but I bet it would work. 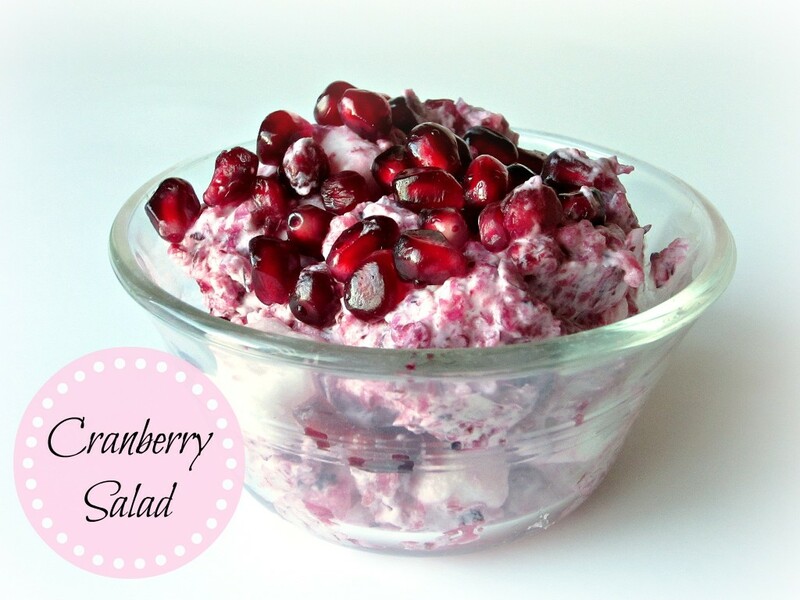 I usually make this salad for the holidays (minus the cottage cheese) but it’s SO GOOD. I love it. 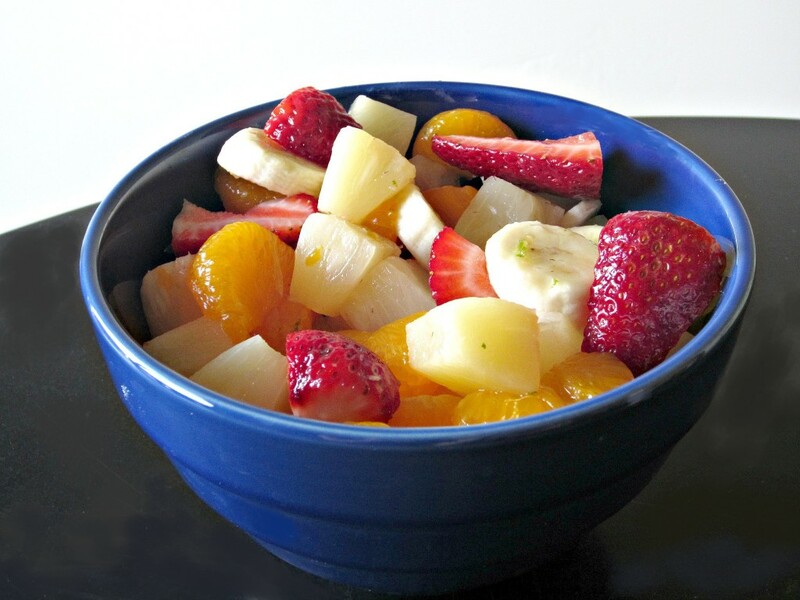 It’s funny because your fruit salad looks like what I usually make for my husband (he doesn’t like to pistachio kind). Thanks for sharing!